Blockchain and Cannabis: Does it Work? 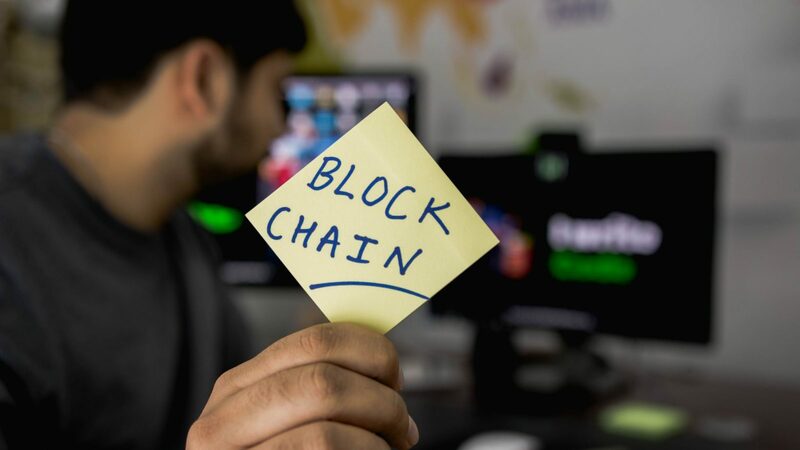 In recent years blockchain technology has seen a steep increase in growth and public interest, with an incredible amount of new projects trying to bring solutions and advancements to all kinds of different industries. From the internet of things, to secure wallets for cryptocurrencies and even decentralized marketplaces for the computation and resources needed for Artificial Intelligence; the possibilities of blockchain integration seem endless. That’s why it is no surprise that some companies and startups have tried to connect the cannabis sector with the technology of decentralization. Here are three blockchain startups that are trying to make such a connection a reality. The cryptocurrency focuses on what blockchain is primed to provide: A worldwide, fast and safe transfer of money with very cheap transaction fees in comparison to traditional payment methods like credit cards. Merchants in the U.S. can only accept cash payments because federal banks and credit card companies won’t touch any of the money that comes from the commerce of cannabis. With PotCoin’s very own wallet software, these merchants have a convenient alternative to receive, send and store their funds. However, there is one drawback: Chargebacks are not possible with PotCoin. This may protect merchants from losing money, but it ultimately signifies a considerable disadvantage for purchasers when compared to traditional payment standards. PotCoin promised to set up, and run, over 1300 special ATMs for its coin over the course of 2017. By October 2017 there were over 800 of these ATMs spread over 35 countries, including Japan, Cameroon, Colombia and Norway, giving PotCoin a truly international presence. Related: Smart Cannabis Gadgets: A New Trend? At the moment of writing, the market capitalization of PotCoin stands at $2.8 million. With a circulating supply of 221,170,685 POT, this makes one coin worth $0.013. The all-time high was at $0.179 in June 2017, that’s a decline of over 92 percent which is mostly due to the ongoing cryptocurrency bear market and not related to any negative news surrounding PotCoin. Paragon is probably one of the best-known cannabis related startups in the whole blockchain space. Its degree of popularity stems from the collection of a whopping $70 million in its initial coin offering, which was held in September 2017, and a marketing campaign that included celebrities like the rapper The Game. Paragon CEO Jessica VerSteeg used this campaign to promote her goal of “revolutionizing the cannabis industry, with a suite of blockchain based solutions.” Paragon’s vision is laid out a bit more clearly in its whitepaper. Not only is it seeking to invest in technical aspects, such as its own blockchain, but also political ones, as the plan is to organize and unite global legalization efforts. With more countries opening up towards the legal use of marijuana, Paragon’s argument is that its native coin PRG will increase in value over time. Its main focus, however, lies on building and renting out cannabis co-working spaces in different parts of the U.S. In September of this year, Paragon successfully launched the first of these co-working space in Hollywood L.A., where businesses, freelancers and entrepreneurs can now rent accommodations that are specifically geared towards people working in the cannabis sector. The rooms come fully equipped with high-speed internet, cleaning staff and conference rooms. As can be seen on Paragon’s twitter profile, they are used frequently by popular guests, like the cannabis entrepreneur Mr. Sherbinski. When it comes to Paragon’s very own blockchain, called the ParagonChain, the L.A.-based company set itself some quite ambitious goals. Upcoming technical features are planned to involve sending global peer-to-peer payment transactions and offering anonymous patient identification as well as tracking activity logs on the supply chain of cannabis goods. Very similarly to PotCoin, Paragon’s current market valuation lies at $2,8 million. The price of one PRG sits at $0.0096 with a circulating supply of 65,936,587 PRG. Lucid Green is one of the younger blockchain startups trying to set foot in the cannabis industry. Its products consist of an app and its own token called the BUD token. Both products are targeted towards budtenders and consumers of cannabis products. The idea is that cannabis products can be scanned via the app and useful information about the product can either be entered or retrieved by the user of the app. The BUD token will then be given to the user as a reward for participating in this process. The information available in the app will educate users about the strain, potency and recommended dosage as well as offer user reviews and lab-direct test results of the flower. According to the information on Lucid Green’s website, users will get rewarded with the BUD token for every single scan. In order for buyers and dealers to be able to scan the underlying product, brands and growers have to put Lucid Green’s QR code onto their packaging. Related: Cannabis Vaporizers: How do they work? To compensate users for scanning their products, the brands have to purchase the tokens from Lucid Green at first. They, in return, will benefit from the data and analytics available on Lucid Green’s platform as well as from getting direct insight into what buyers think of their products and how they can be improved. The acquired tokens can then be redeemed in the cannabis shops for whatever products or goodies the shop owner intends to swap for the BUDs. So the tokens basically act as a sort of loyalty program, very similar to programs that are already being used in all kinds of different shops around the world. As all three of these startups have proven, there are many issues in the cannabis industry that can be tackled with the help of blockchain technology. Whether those are fundamental, like enabling smooth and secure payment processes or simply nice and organized co-working spaces, some startups have already been able to provide a lot of value for businesses and customers alike. Nevertheless, many of the more complicated and technically complex issues these startups initially addressed have yet to be solved. This will be especially challenging since blockchain is a relatively new and unexplored terrain. Only the future will tell which of these companies are able to position themselves as industry leaders.